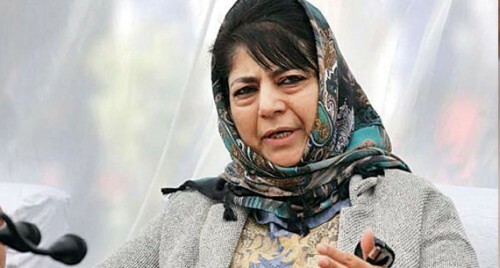 Srinagar, March 10 (IANS) Former Jammu and Kashmir Chief Minister Mehbooba Mufti on Sunday said the NIA summon to senior separatist and religious leader Mirwaiz Umar Farooq is "emblematic of government's repeated assaults on religious identity of Kashmiris". "Mirwaiz Farooq isn't any ordinary separatist leader. He is religious and spiritual head to Kash muslims. NIA summons to him are emblematic of GOIs (Government of India's) repeated assaults on our religious identity. J&K is the proverbial sacrificial lamb exploited to divert attention from real issues," she tweeted. Several traders and businessmen in Srinagar have announced a two-day protest shutdown against the summoning of Farooq. He would be questioned at the National Investigation Agency's (NIA) headquarters in the national capital on Monday in connection with the 2017 terror funding case.